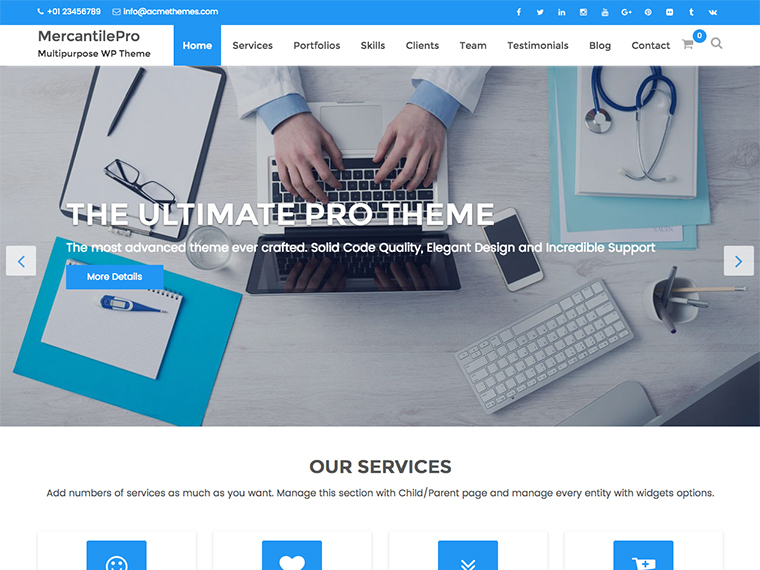 MercantilePro is the versatile multipurpose business WordPress theme can adapt to any market niche, and provide the user with an accessible and intuitive interface. 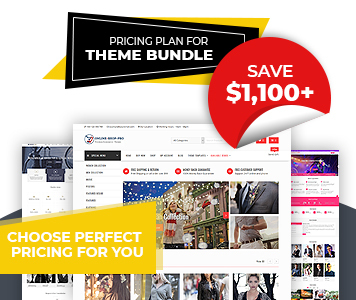 It is an incredibly comprehensive and highly ambitious, powerfully flexible and amazingly versatile, wonderfully easy to use and user-friendly, entirely responsive WordPress business and corporate multipurpose website builder. MercantilePro has been carefully packaged with 13+ custom widgets. This theme is based on Parent/Child Page and build with customizer. Its modern, attractive ambiance and beautiful, engaging end-user experience make MercantilePro best theme ever. It’s highly crafted features will help to make your site really incredible. It is an excellent theme for handling one page and multi-page websites. Global and Individual options to manage every pages, posts and section will make your site best in the web world. The theme instruction and provided Dummy Data will help to make awesome site instantly. Extensive SEO capabilities, serious and sleek Portfolio sections for showcasing your works and much more section on home page and inner pages will help for creating successful business websites today. Keep MercantilePro today, you will never look alternative. In case of confusion, contact our support team. We will provide you the best support ever on the theme market. Unlimited color options will help to change the overall color of the site. Feel the best experience with it. Select the parent page and its sub-pages will be shown is slider. You can select it from post/category as well as custom sliders. The full slider will give you the best experience on the theme layout. Change the layout of slider easily. Write you own placeholder text for search field. It will appear on every search field. Added very popular social medias to link your profile from the site. Its easy to integrate on the site. Create your team section easily with custom Widgets built in theme. Its really awesome with multiple options. Built in testimonial section will help to make the testimonial section on the theme front page. Choose number and layout for it. About Us widgets helps to introduce your brand/company over the world with your website. Its highly crafted and clean section as well. Blog section widget help to enter the blog section on the front page. Select the number of post and manage every entity here. The theme is developed in the concept of parent and child page. Select the parent page on the widget to display its child page content.